"It's kind of amazing that an experience that feels so individual to me is shared by so many people." What’s striking about Michelle Zauner’s music as Japanese Breakfast is how hard her work ethic has been earned. Her debut Psychopomp was written just two months after her mother’s passing from cancer. That a fear of relenting to depression after several months of difficult caretaking drove her to write catchy, uptempo synth-rock gives credence to the cynical joke that fear is the strongest motivator. After the blog that commissioned her to write the song had rejected “Machinist,” Zauner turned her gaze to reupholstering demos and exploring sentiments from the Psychopomp stage in her life that were left unaddressed on that record. Given the emotional despondency Psychopomp’s album cycle rendered her in, Zaunder regards Soft Sounds as a more “objective view of what mourning was like.” While touring, she fell into a more difficult routine, during which she revisited the gravest period of her life ad infinitum, through answering questions from reporters or responding to fans’ interest with as much empathy as she could muster. Bearing through death doesn’t grant one special insight about how to grapple with it, and that fact is harder to square away when the art that you make so deftly navigates it that you become an ambassador for closure. Zauner recognizes that in-vain attempt to relate to an idol because she’d been there more than a decade ago, with Phil Elverum of Mount Eerie. Raised in Oregon, the realist, “Pacific Northwest tenderoni” identity is heavily relatable to her, with Elverum specifically being a personal hero (she has a drawing from the Dawn album artwork tattooed on her arm). When Mount Eerie played in her post-adolescent home in Philadelphia, she took a chance after the show to enthuse with him over how much she loved his work. 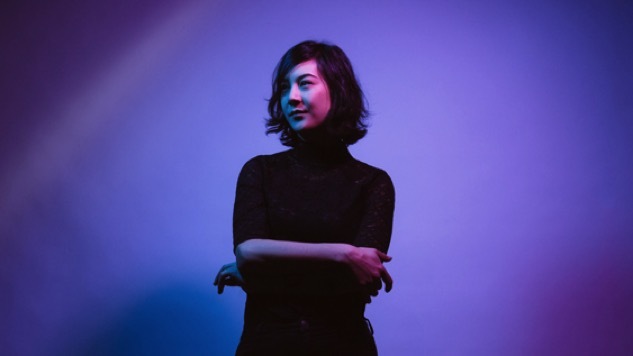 Cancer, specifically, is an unlikely factor that connects Japanese Breakfast to Mount Eerie. Zauner ponders sometime over the timeline of her mother’s illness, which overlaps with Elverum’s stirringly public struggles with his own wife’s unexpected cancer diagnosis. Her personal relationship with his music deepened after hearing a similar account of his grief on Mount Eerie’s grim new record, A Crow Looked at Me. Like Elverum, what keeps Zauner buoyed in the wake of everything is her support network. Her husband Peter, who contributed bass previously, now joins her as a full-time band member, and being on the road affords her a pattern of continual creativity, directing and co-editing her music videos in whatever down-time is afforded to her. Close as she is to settling into a contented place, it makes you wonder if her inspiration will always return to death.